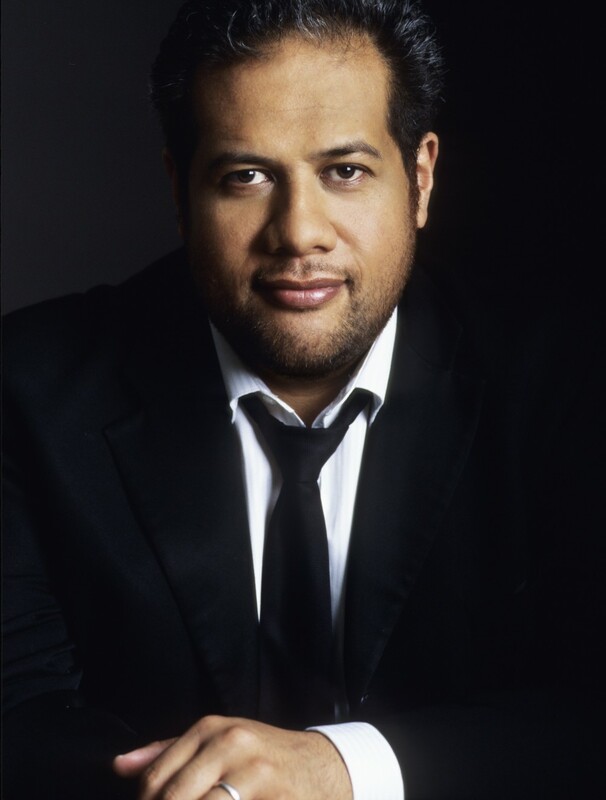 The Gramophone Magazine wrote “…Lemalu, a New Zealand born Samoan, is a major talent. His voice defies easy categorisation, combining the depth and authority of a bass with the flexibility and vocal colouring of a baritone”. The 2015-2016 season sees various role/house debuts, with Nourabad/The Pearl Fishers (a revival of the timeless Andrew Sinclair/Zandra Rhodes production) with Seattle Opera conducted by Maestro Joel-Hornak. This is followed by recitals of Mussorgsky and Schubert with pianist Sholto Kynoch in London, and tours of Handel’s Messiah in Belfast and London’s Royal Albert Hall with Maestro Halls/Ulster Orchestra and Maestro Wright/Royal Philharmonic Orchestra. The new year begins with a Vocal Masterclass at London’s Royal College of Music, Jonathan’s Alma Mater, and Veit Pogner’s address from Wagner’s Die Meistersinger von Nüremberg for English National Opera’s gala at London’s Landmark Hotel with Maestro Wigglesworth and the ENO Orchestra. Another role debut and recording of Falstaff in Holst’s At the Boars Head in Warsaw with Maestro Borowicz/Warsaw Chamber Orchestra, and 3 performances of Christus/Matthäus Passion with Maestro Goodwin/Orchestre Philharmonique de Strasbourg. He makes his Hong Kong Philharmonic debut in performances of Walton’s Belshazzar’s Feast with Maestro Lewis at the Hong Kong Cultural Centre, a recital of Brahms lieder in Essen, Germany with mezzo soprano Anna Huntley and pianist Graham Johnson, and recital with pianist James Baillieu in Salisbury. After recording Leporello for an upcoming movie of Mozart’s Don Giovanni, Jonathan begins rehearsal for a role debut of Dulcamara in a new Himmelmann production of L’Elisir D’amore at the Esterhazy Festival in Eisenstadt with 8 performances taking him through to the summer. The 2014-2015 season began with Jonathan’s much anticipated debut in the title role of Verdi’s Falstaff, a highly successful revival of Keith Warner‘s wonderful production at Oper Frankfurt, conducted by Jonathan Darlington. He sang the role debut of Hans Schwartz and covered the role of Veit Pogner in the blockbuster English National Opera revival of Richard Jones‘ WNO production of Wagner’s The Mastersingers of Nuremberg, conducted by Edward Gardner in his last production as Music Director, playing a sold-out season with star-studded cast to huge audience appreciation and 5-star rave reviews. Jonathan also debuted the role of Sergent of Police in Gilbert & Sullivan’s The Pirates of Penzance to highly critical acclaim, in a new and highly anticipated production from renowned British filmmaker and director, Mike Leigh, conducted by David Parry. Other notable engagements this season included the Gala Closing Concert of the 2014 Oxford Lieder Festival, performing the Heine settings from Schubert’s Schwanengesang with Artistic Director and pianist Sholto Kynoch alongside Kate Royal, Mark van de Wiel and Dame Sarah Walker. Jonathan also made a return to London’s Wigmore Hall with Songsmiths ensemble in their Wigmore debut, accompanied by ensemble founder, pianist Audrey Hyland, with singers Elizabeth Watts, Mary Bevan, Anna Huntley and Marcus Farnsworth in a highly successful programme entitled Secrets and Obsessions. Jonathan also performed in recital with pianist Joseph Middleton at Glasgow’s Royal Conservatoire of Scotland, in a programme of French song by Poulenc, Faure, Ibert and Duparc, entitled Poulenc 50 Years On to be aired on BBC Radio3 in the future.